I was having an art-block, and decided to just draw until something happened. This was the result. I think it illustrates Niels and 300’s relationship quite well. Lots of flirting and weird sexual tension, but they would still kill each other if they had to. 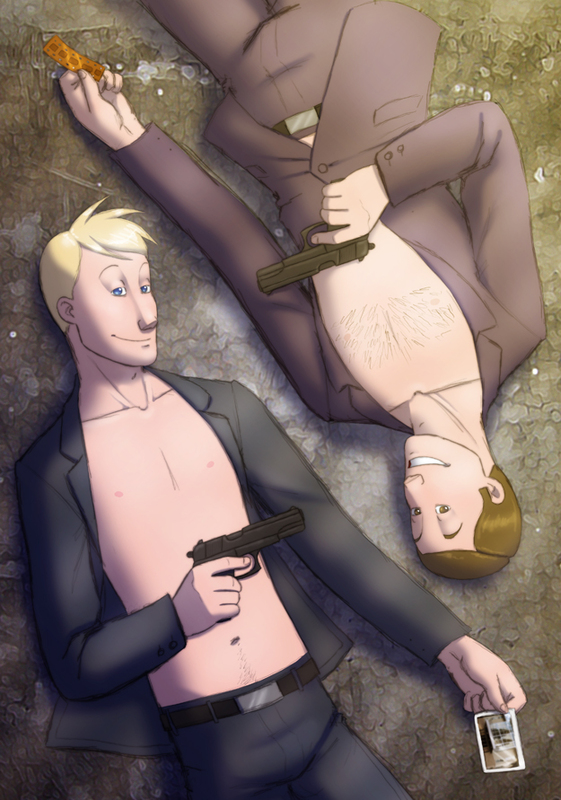 Also, very little physical contact (besides fighting) actually takes place between them, like in the comic where instead of using his hands, Niels caressed 300 with a gun. EDIT: Agent 300 is holding the photo negatives and Niels is holding the actual photo. There's no reason for it, so you'll have to make up your own story behind it.